New ecommerce and social media platform proves that numbers don’t lie. Check the analytics. The worlds of ecommerce and Webmaster tools merge with PostShareSell.com. PostShareSell is an ecommerce platform that allows businesses and individuals to buy, sell or trade items through an online marketspace. What sets PostShareSell apart from other competitors is the detailed social media tracking that is available for each post. Each listing receives a unique tag that allows for easy monitoring when the link is shared or clicked on popular social media sites. 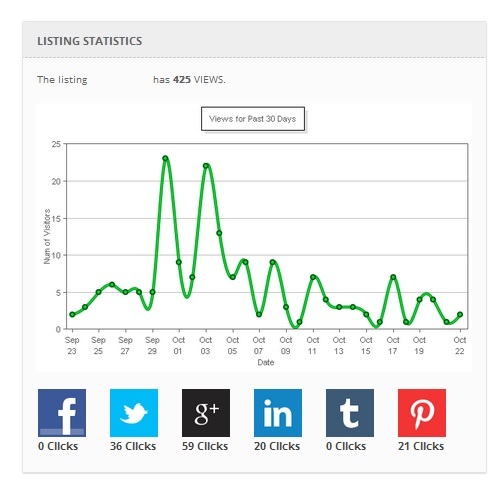 Users receive detailed information on the number of views each link is receiving on sites such as Facebook, Pinterest, LinkedIn, Google+, Tumblr and Twitter. The tags are also capable of monitoring activity from mobile websites as well. The result of social media tracking is the optimization of social media marketing efforts. For example, Facebook currently does not allow you to know how many people have seen a shared link if it is not attached to a promotion or advertisement. PostShareSell’s standalone platform allows the user to discover this information, and utilize it to create more efficient marketing campaigns. A recent study led by Stanford University states that the average Facebook post is seen by less than 35% of the user’s friends. 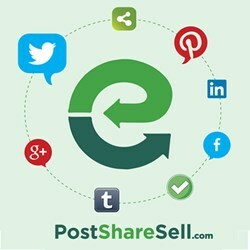 PostShareSell’s social tracking system will allow you to find, engage and increase that percentage. For more information, please visit http://www.postsharesell.com. Inquiries can be sent to info(at)postsharesell(dot)com.